Ann Murfin, M.Photog.M.Artist.Cr., CPP, made “Summer Beauty” while teaching a professional workshop. “We had been working for more than an hour outside, and it was humid and uncomfortably warm,” she says. “I decided to take a few quick images with the idea that they were not perfectly planned or executed and show my students what could be done with a basic portrait.” The next day, she used applications from the Adobe Creative Suite to retouch it, and then toggled back and forth between CS and Corel Painter, adding artistic touches. She put it away and didn’t think about it again until it was time to enter the International Photographic Competition. “I was pleased and honored by the reaction to it in competition because it is a simple portrait. To me, there are few things more moving and emotional than the simple imagery of children.” Hopkins Fine Portraits Inc. is based in Tulsa, Oklahoma, and specializes in child portraits. 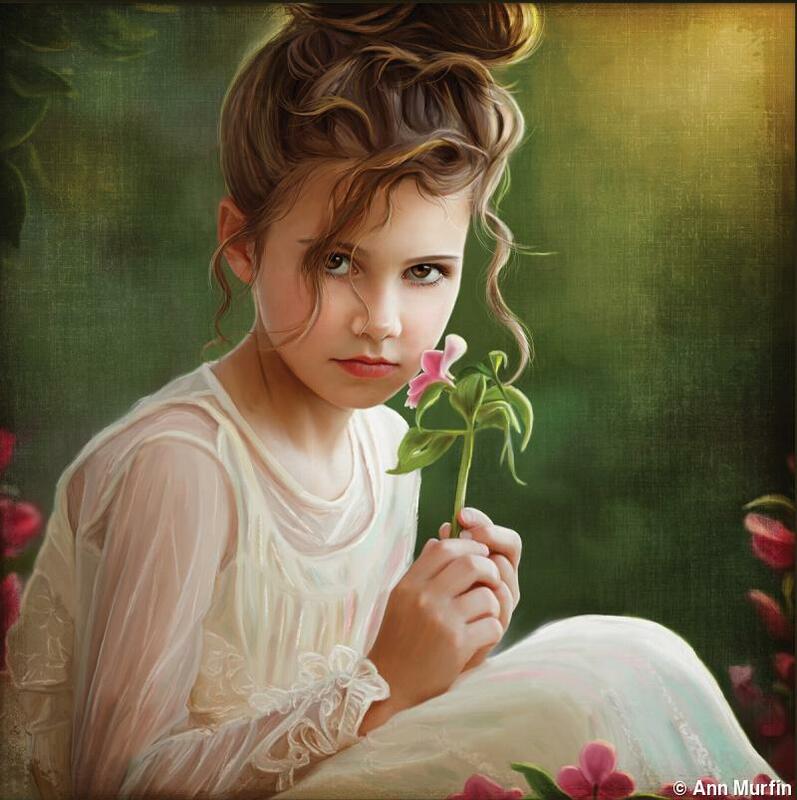 POST-CAPTURE: She used applications from the Adobe Creative Suite to retouch and draw in elements, such as flowers, ribbons, and hair, and then painted the image using Corel Painter X3.